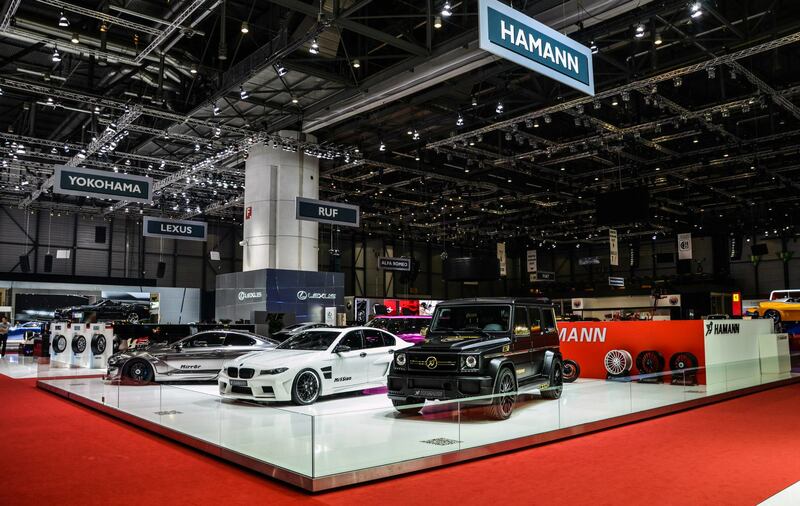 It is not only the car brands that are premiering new vehicles at the Geneva Motor Show, tuners are taking advantage of the internationally covered stage as well. 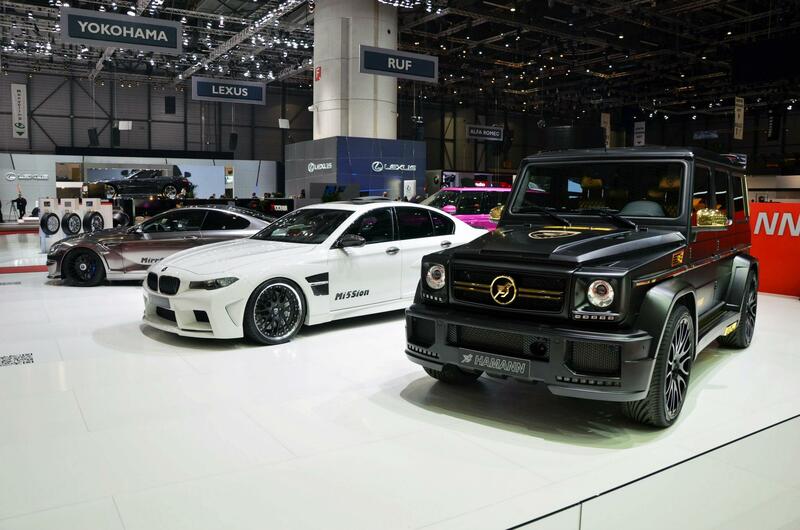 One of those tuners is none other than Hamann with their Hamann Spyridon Mercedes G65 AMG. 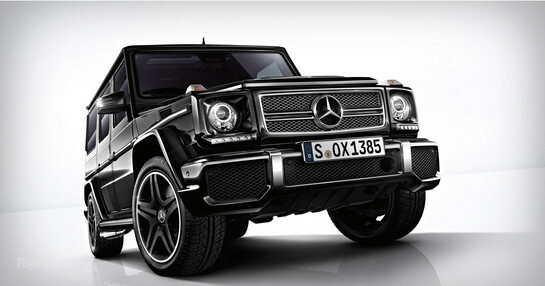 Hamann’s upgrades are available for both the Mercedes G65 AMG and the G63 AMG models. 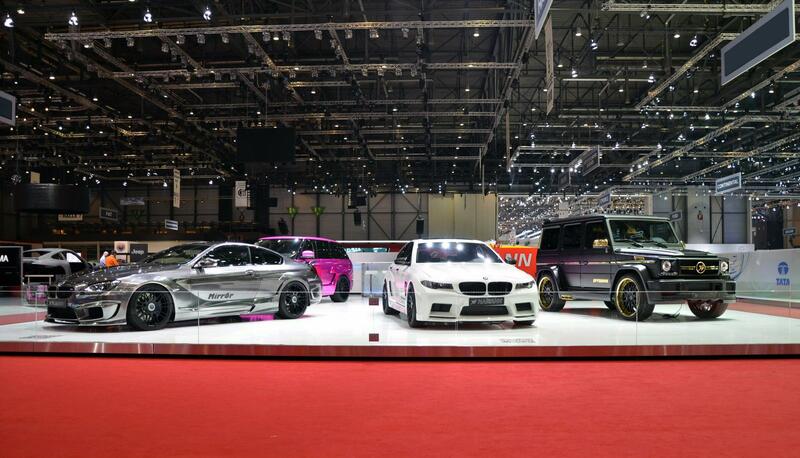 Below you can see photos of the Hamann Spyridon on teh 2013 Geneva Motor Show floor alongside Hamann’s other, more brightly colored creations. 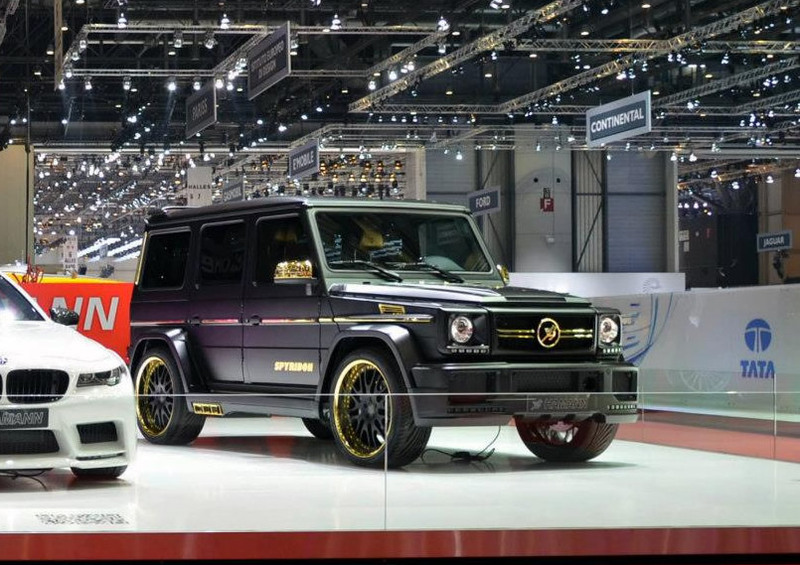 The Hamann Spyridon has updated its exterior with a new paint job, that with a bit of electricity glows. The exterior features mirror housings and a bonnett that are made from carbon fiber and weight in at a mere 14.33 lbs. 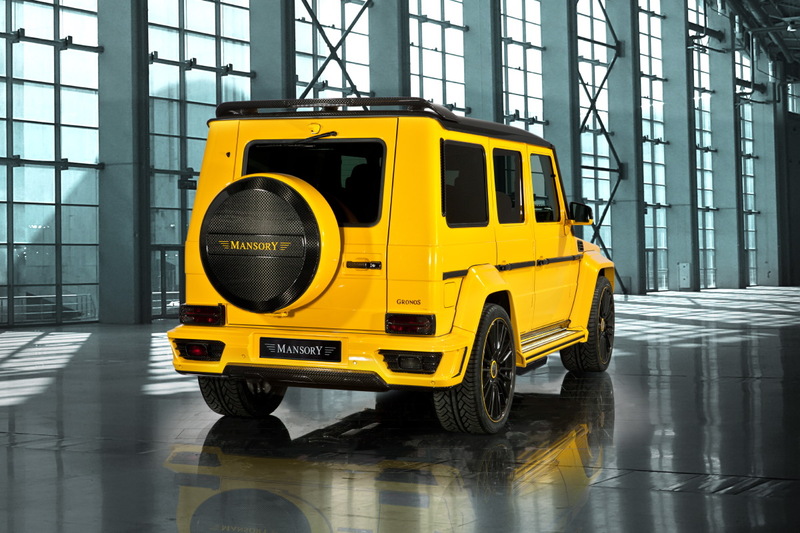 The roof spoiler and the rear apron with integrated diffuser improve the AMG SUV’s dynamics while the new side skirts have integrated LEDs that light up the floor and illuminate the triple tailpipes Hamann added to both sides. 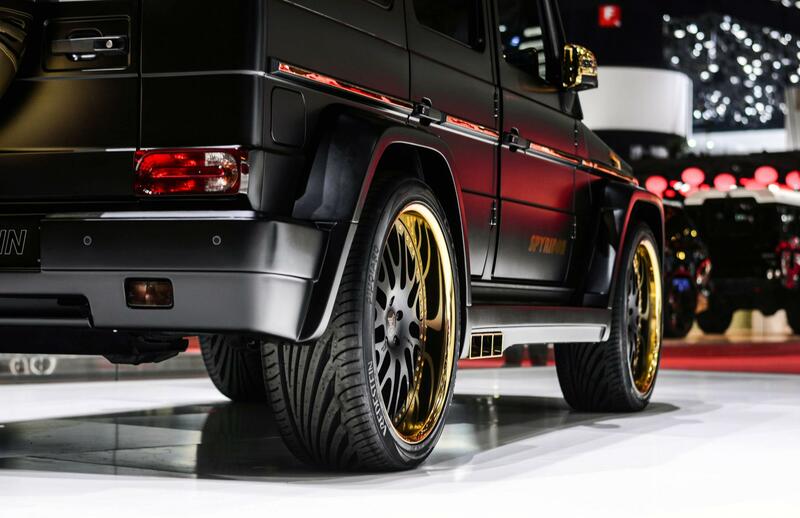 The pipes were milled from a solid block of aluminum before being anodized in a gold coloring to match the rest of the SUV’s updates. 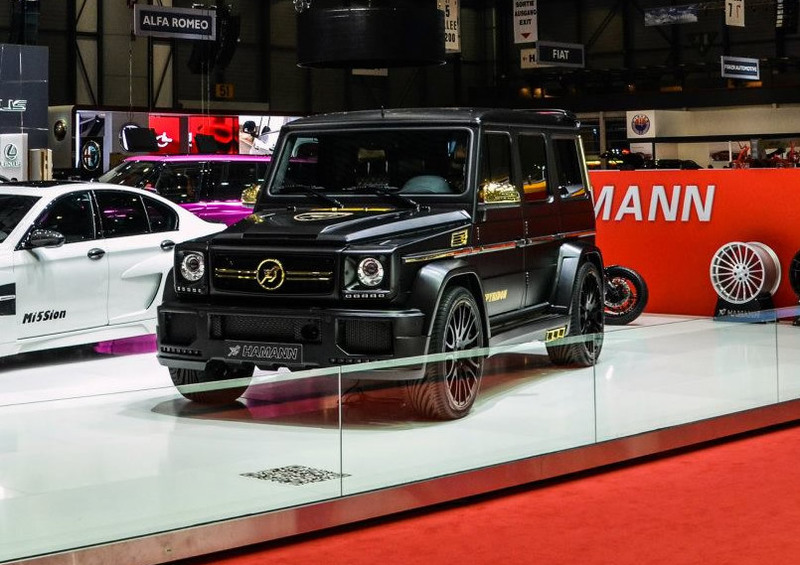 Power gains on the Hamann G-Class are certainly impressive, the Mercedes-Benz G65 AMG produces 612hp while with Hamann’s tuning program easily serves up 702hp and a maximum torque of 1,110Nm. 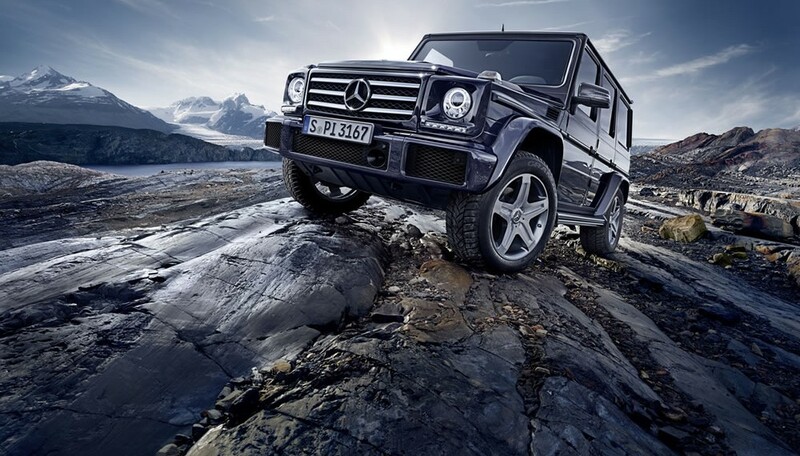 The 5.5 Litre V8 bi-turbo Mercedes-Benz G63 AMG is now able to produce an astounding 610hp instead 544hp and reaching a peak torque of 875Nm rather than 700Nm. 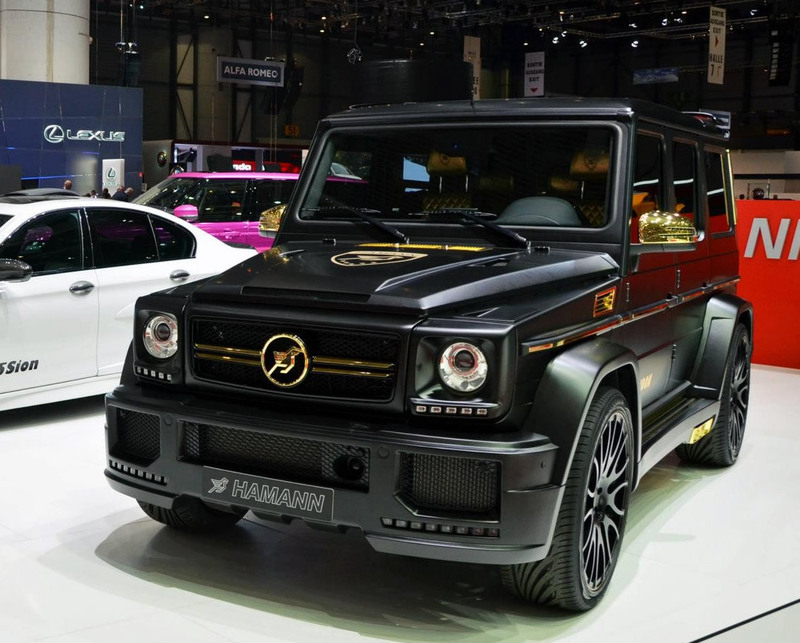 Not forgotten by Hamann was the interior of the Hamann Spyridon Mercedes-Benz G 65 AMG – it includes decorative stitching on the seats and instrument pane, gold-colored leather door panels, aluminum sports pedals and brushed stainless steel door sills with white illuminated Hamann logos that can also be found on the floor mat set that has been made with threaded, black pearl velour.